The Xiaomi Redmi Note 5A is yet another addition to the budget-friendly market in India. The phone isn’t heavy on your pocket but packs all the features that one would desire. It is well designed, has a powerful configuration, and comes with good cameras. The fingerprint scanner is the much-needed addition that makes the phone even more desirable. On top of the is the RAM which ensures that the phone works smoothly. Hence, the phone gets a thumbs up from us. If you want something brilliant under 10000 bucks, think no more. The Xiaomi Redmi Note 5A is priced at INR 9290 in the Indian market. The Xiaomi Redmi Note 5A packs an amazing configuration under the hood. It is powered by Quad-core Snapdragon 435 chipset clocked at 1.4GHz. This chipset is paired with 3GB of RAM that makes multitasking and gaming smooth tasks. The phone runs on Android v7.1.1. (Nougat) Topped by MIUI 9 interface. For better graphics, it comes with the Adreno 505 graphics processing unit. The Xiaomi Redmi Note 5A boasts a 5.5-inch IPS LCD display which delivers a resolution of 720 x 1080 pixels. The fingerprint is placed below the rear camera for convenience. The maximum storage available on the phone is 128GB which can be achieved using a microSD card. But the device ships with 32GB on internal storage. We have no complaints since it is expandable and there is ample space. The Xiaomi Redmi Note 5A comes with all the connectivity options that you might need on day to day basis. It has 4G support, 3G, WiFi, Mobile Hotspot, GPS, micro USB and Bluetooth. Coming to the best part of the phone, the device has a 13MP camera on the rear that is equipped with LED flash. On the front is a 16MP unit which also comes with LED flash. This means that the phone can take good pictures even in low-light areas. The rear camera has features like auto flash, face detection, touch to focus, digital zoom, etc. Xiaomi Redmi Note 5A comes with a 3080 mAh battery that delivers long hours on a single charge. 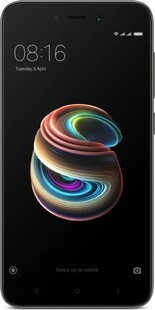 How is the build quality of Xiaomi Redmi Note 5A? The Xiaomi Redmi Note 5A feels solid and has good quality of body materials. How is the display quality? Although Xiaomi Redmi Note 5A does not have a full HD display, it is still pretty good and provides good visibility in sunlight. Does the Xiaomi Redmi Note 5A have USB OTG support? Yes, Xiaomi Redmi Note 5A supports USB OTG. Does the phone heat up? No. Xiaomi Redmi Note 5A does not have heating issues. Can it record slow motion videos? No it cannot do so. Will it get a Android update? There has not been any declaration by the company. Xiaomi Redmi Note 5A has excellent calling quality. 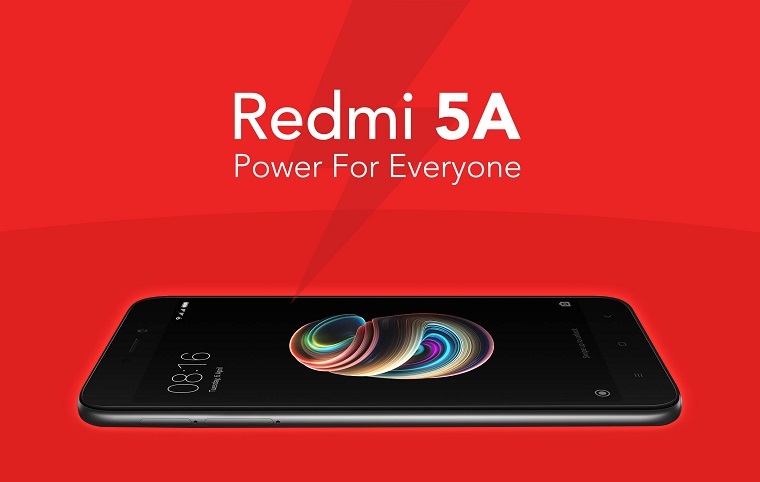 Xiaomi Redmi 5A full specs and reviews as of Apr 2019. Buy it here!